Bolere De Oro is known as Bolly around here! He is a big sturdy boy, with an impressive thick, long and curly coat! Bolly was born in Italy, and was imported as a stud male in Devon and has produced many pretty babies in his time. However he has had a change in career and has now become a trekker! 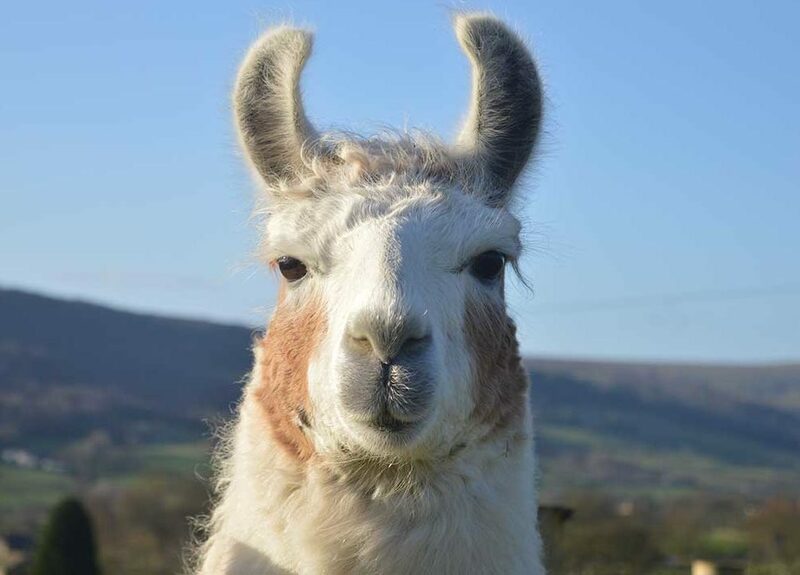 He is a very chilled and laid back boy, he doesn’t challenge the others, but he does know when he needs to stand his ground (mainly when it comes to telling the alpacas off!). He is alert when out and about and doesn’t miss a thing, but he’s very confident and takes everything in his stride. When trekking, Bolly’s perfect kind of person is an adult who enjoys cuddles but also someone who talks a lot! He is a very cuddly boy, loves attention but also loves a good natter!